The Ludington area is a popular spot during the busy travel season. The downtown is full of quaint shoppes and eateries. There’s a nice craft beer scene. The S.S. Badger sails out of the harbor daily during peak season taking passengers and their vehicles across Lake Michigan to Manitowac, Wisconsin. 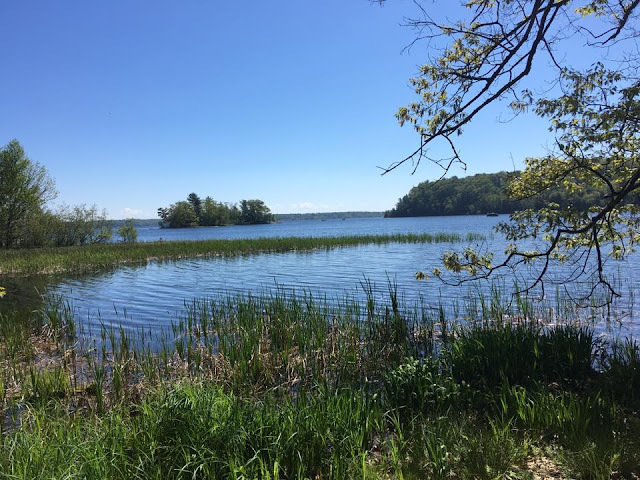 There’s also a lot of fun to be had on the area’s inland lakes, including the large Hamlin Lake located just north of downtown. 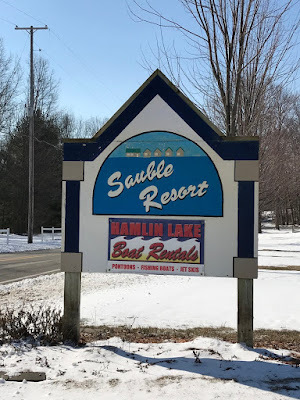 On a recent visit to the area, we stayed at Suable Resort, which is located on the east side of Lower Hamlin Lake. The western part of Hamlin Lake is bordered by the Ludington State Park as is the north shore of Upper Hamlin Lake. 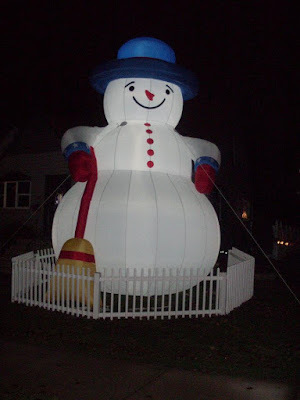 We were there in the off-season, visiting while my kids were on their spring break and things were very quiet and laid back. It was actually snowing during our trip, which was pretty unexpected (at least to me) in April and kept us inside a little more than we had planned. The resort has a number of cottages to accommodate different size groups. We stayed in cottage #6 - the Chalet - which sleeps up to 10 and was very comfortable for our group of five. It had two downstairs bedrooms with queen beds, two bathrooms, a kitchen and living room and an upstairs loft area with two double beds and two twin beds. 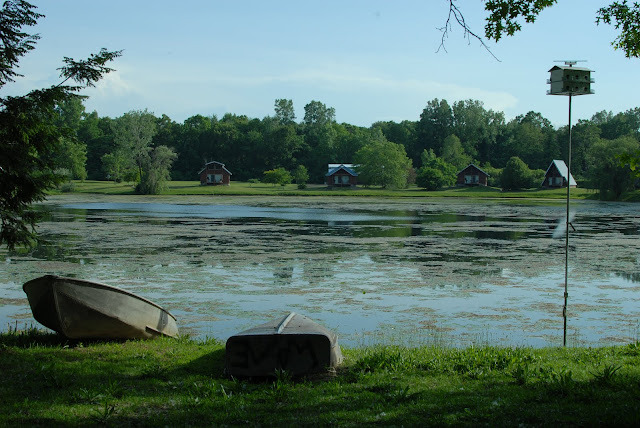 Sauble Resort’s cottages range from one to four bedrooms and the resort stays open all year. The Chalet - which sleeps 10 and has two bathrooms. On the resort are tennis courts, basketball hoops, a playground, a heated outdoor pool and pontoon and jet ski rentals. Boat rental rates for luxury pontoons range from $200 for 2 hours to $1250 for six days (discounted to $900 for resort guests). Deluxe luxury pontoons are available for 2 hours at $250 up to a day at $510. 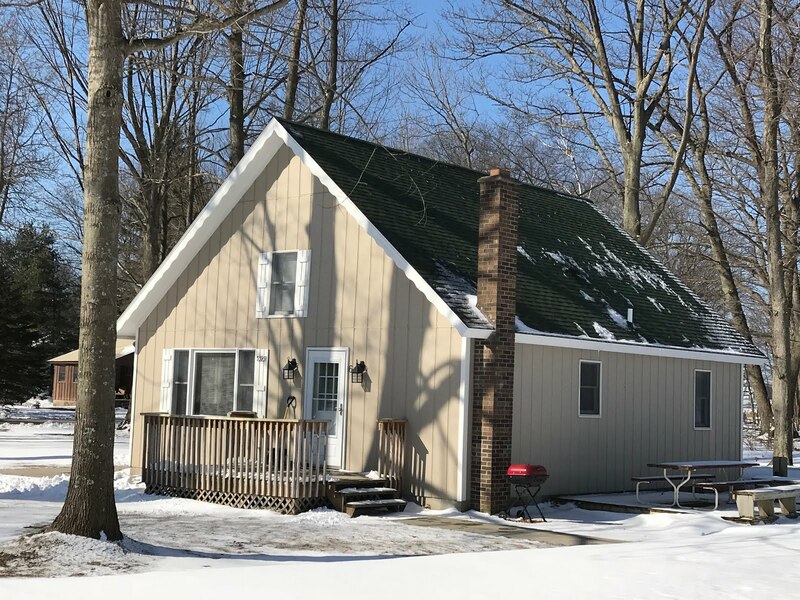 Cottages are rented by the week and it’s a lovely area to make your home base for a week and spend time together connecting as a family, fishing, boating and exploring the area and the Ludington State Park. For more information on the resort, visit saubleresort.com. Hamlin Lake and the Sauble Resort are just about a ten minute drive from downtown Ludington. For more information on the Ludington area, visit pureludington.com.